Welcome to Day 5 of the Fourth Annual 12 Days of Christmas Series! 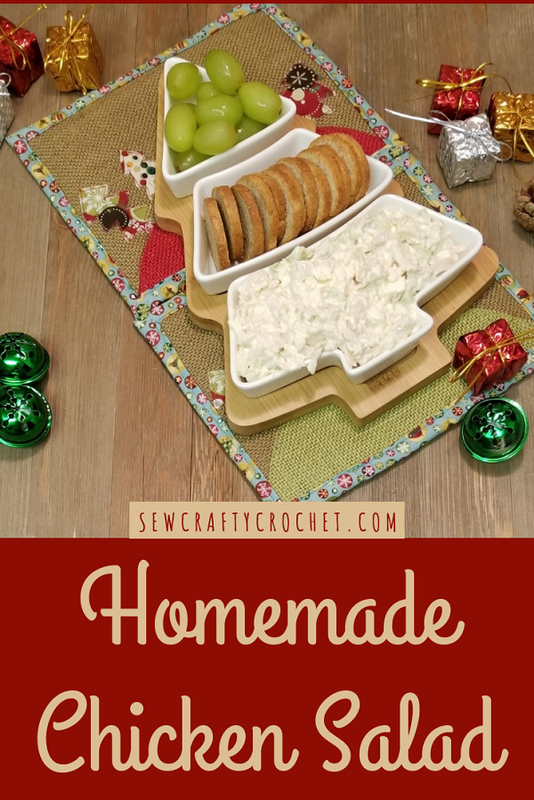 I have teamed up with 50 plus bloggers to bring you a oodles of DIY Ideas and Recipes to make your holiday season merrier. There are 12 different posts in the series and we have spread them out over a four week period with three posts per week. Now is the time to subscribe! 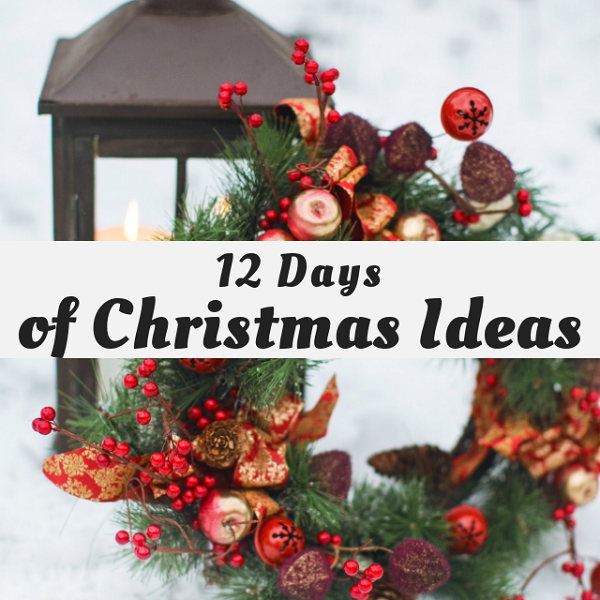 GO HERE for the complete list of Dates and Topics plus a collection of the most popular holiday ideas including ornaments, games, recipes and more from all 50 plus talented bloggers! 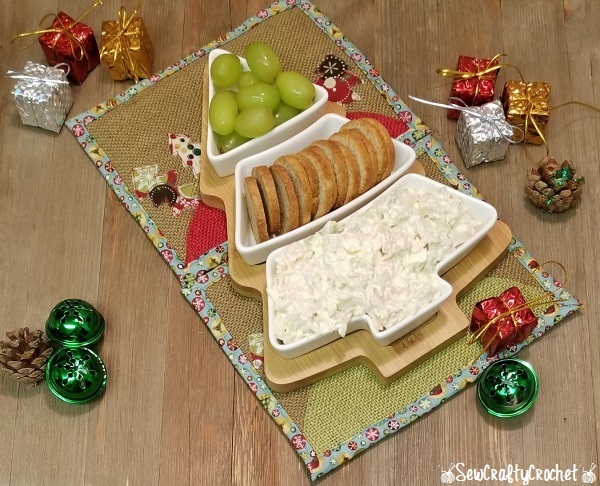 IT'S DAY 5, AND WE'RE SHARING HOLIDAY PARTY FOOD IDEAS! I boiled the chicken until it was thoroughly cooked. I also boiled two eggs. 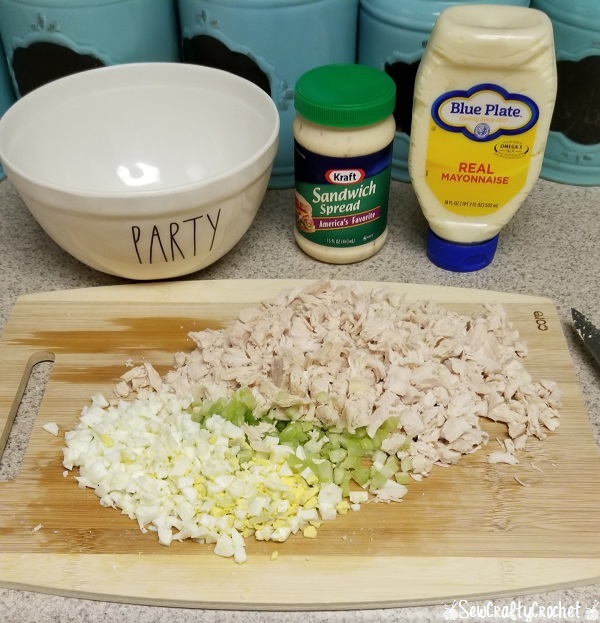 I chopped the chicken, celery, and eggs. I only included one of the egg yolks. 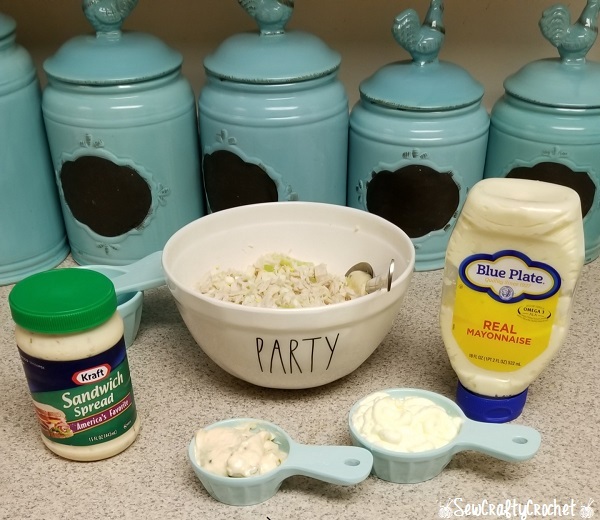 I added ¼ cup of sandwich spread and ½ cup of mayo. I mixed everything really well and put it in the fridge to chill overnight. 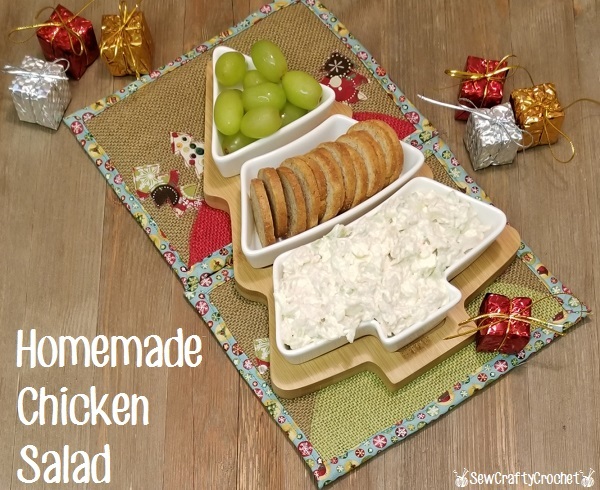 I like the way you serve up your homemade chicken salad for the holidays, T'onna! 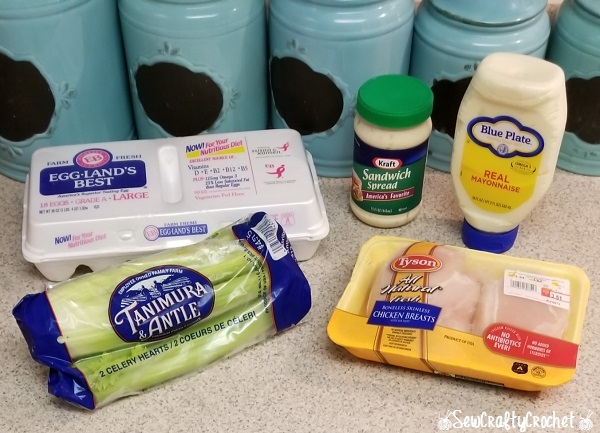 I never realized how easy it is to make a good chicken salad. And I am all about easy these days. It looks so tasty. I refuse to cook on Christmas with the exception of throwing our breakfast casserole in the oven. The rest of the day is spent eating snack-y food that requires zero effort on my part. 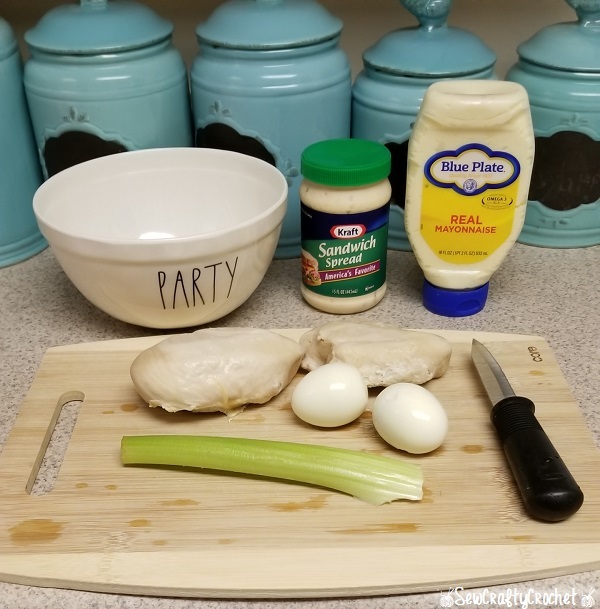 This recipe totally fits the bill! Love it! That looks so good! I am ready to dig in! 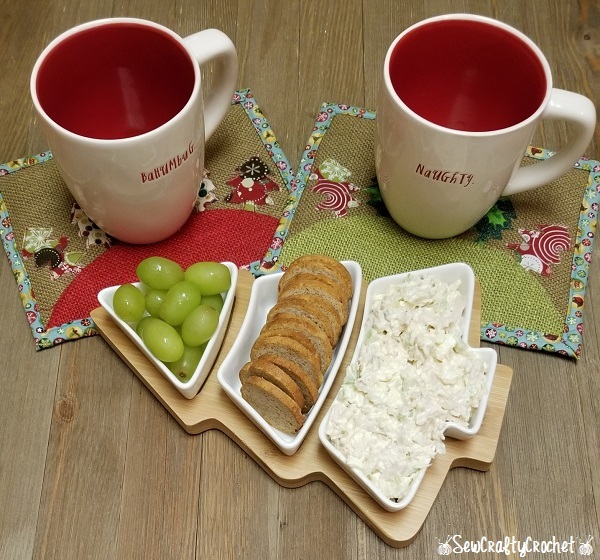 I haven't thought about sandwich spread since I was little like 50 years ago. The stuff was great, I need to go look for some and make this. Thanks for sharing. I love your Rae Dunn collection and this looks so good! I love it on the Christmas tree tray. My mom and sister love chicken salad. This looks great, T'onna. 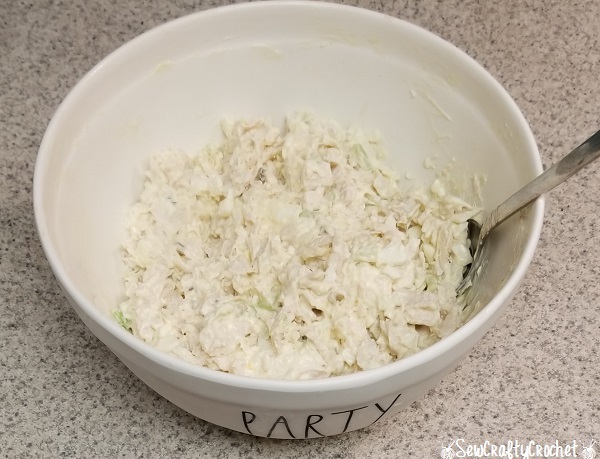 Serving chicken salad as a party food is a great idea! Mmmm! I love chicken salad. Pinning - definitely need to try! What a great idea! 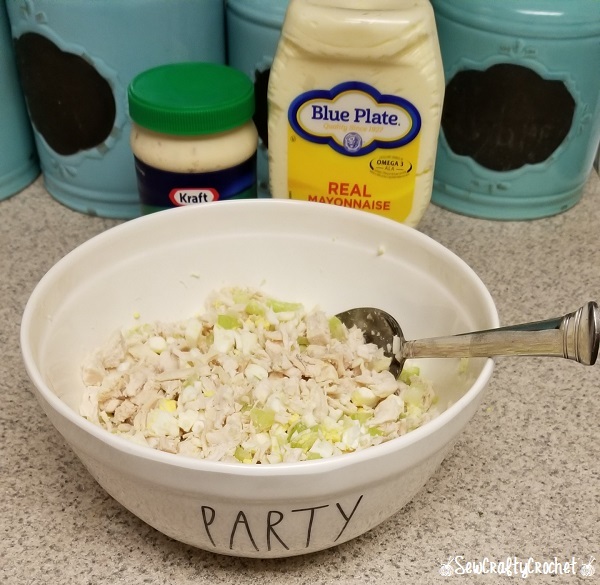 Who doesn't love chicken salad. And I love that set of dishes in the shape of a tree!